I am in 12th grade in the state of Florida. I want to go to UF (University of Flordia). But I honestly do not think I even have a 1% chance of getting in. My SAT score is in the 900's and my GPA is a 3.5 weighted (it will go up by the end of the year). To give some background; I was in dual enrollment at my high school (I was earning college credit while in high school). I had finished my first 2 semesters. Everything was great... until summer classes came around. Due to my PERT scores I skipped 3 math classes. These 3 math classes were Algebra 2, High school college math, and Pre-Cal. Sadly, I was put into college trigonometry during the summer. It was a 6 week advanced math class!!. Needless to say, I ended up with a F in the class and left the dual enrollment program. I had never failed before in my life!. Now I am in almost all honors and 3 extra classes online at FLVS. I am trying so hard to get my GPA up and I am trying so hard to study for the SAT and ACT. But I feel as though it is not enough. My back up plan is to finish my "AA" at Santa Fe and than transfer to UF. Does that seem smart? My essay for UF was about failure and how I over came it. Was that okay?. I discussed my grade (without actually stating what my grade was) and how it was made me grow and get my stuff together, etc. I dont know if that was a good plan to be honest. Also! I forgot to state I am in countless clubs with office positions including science nation honor society as one and I have over 300 community service hours. I dont know if that will help at all. As a fellow Florida student, I understand there's a lot of "hype" about UF. Basically everyone wants to go there, because it's known as the "best school in Florida." Honestly though, it won't matter if you go to UF, UCF, USF, UNF.... etc. I've been to the UF campus a million times, it's no different. 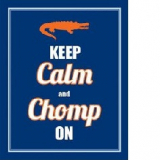 So, don't take me as brutal but, you are not a competitive applicant to UF. Your SAT in the 900s will basically eliminate your consideration. I would focus on other schools and not worry about UF. Finishing your AA at Santa Fe is a more viable option. Thank you but I want to be a zoologist. It is my dream to work with wildlife. UF is the only college in the state that has that program. That is why I was thinking Santa Fe and then UF. Is Santa Fe a good school?. I here it is!. Uf is honestly making me feel "stupid" in a way at this point. @sweetcandybell . Atleast try to apply. Dont think or let anyone tell you, you are not good enough. I was a high school drop out and now i go to uf. Is Santa Fe a good school?. It's one of the best CC's in the nation. Number one. The best. Top school. Santa Fe College can now categorize itself as any of these phrases as of March 18, 2015. Almost 1 out of 3 undergraduate students at UF are transfer students. Nothing wrong with going the transfer route. It will be far less expensive, and the classes will be a bit easier (allowing you to get use to college). You do need to keep your grades up (B's and A's, based on your major), but it's a well-trodden path to UF. From Summer B 2015, to Summer B 2016, UF received 10,085 transfer applications, and accepted 3,820 (and enrolled 3,125). The College of Liberal Arts and Sciences (CLAS), which as a zoology major would be your home, had 3,809 applications and admitted 1,459. Zoology: Complete MAC 2311, CHM 2045 w/ lab, CHM 2046 w/ lab, BSC 2010 w/ lab, and BSC 2011 w/ lab. Must typically have a minimum 2.8 overall GPA to be competitive. Must typically have a minimum 3.0 average on all attempts of these courses. It's important you do well in the above classes. If you don't think you're ready for CHM 2045, take the "Introduction to General Chemistry" CHM 1025 (a two-credit course) first, to prep for it. The same with MAC2311. Your advisors will help you pick the right classes. And as you've learned, be careful when selecting summer classes! Don't let a bad SAT or a bad grade in ONE class discourage you. I know someone who got accepted with around a 20 ACT (by the way, id try the ACT if you don't like the SAT) because of her incredible involvement outside of school (multiple jobs, clubs, and sports) and she had fewer volunteer hours than you. You can do it if you put your mind to it! The University of Florida accepts more SF graduates than from the other 27 state colleges combined, and our students graduate from UF at the same rate as those students who enroll at UF as Freshmen. Let me know if you have any questions about Santa Fe College! Just affirming the above posts (one straight from SF - wow!) . . . my son's Calc II tutor was in a physics PhD program and is just a really smart guy - he started out at SF. Loved it! I wouldn't hesitate to go that route. 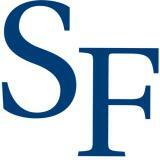 @SouthFloridaMom9 : Glad to hear your son at a good experience @ Santa Fe College! @SantaFeAVP - it was our son's Calc 2 tutor who started at Santa Fe and then transferred to UF. 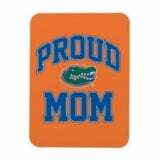 Our son is a first year student at UF. Sorry for the confusion! Our son's tutor is one smart guy, I will say that. He seems to have really liked his experience at SF. A 900 SAT will make it tough but I would still apply and see what happens. I really like your backup plan of SantaFe to UF and I like the fact that you've worked on a back up plan. I agree with other, SF is a great CC. Good luck!